If you’re anything like me, you have (embarrassing) collections of mementos and photos from school days, family events, and trips tucked away in closets, drawers and cupboards. I come across them from time to time and mutter “I really need to…” and then shove them back where they were! THIS IS OUR SOLUTION. Stampin’ Up! 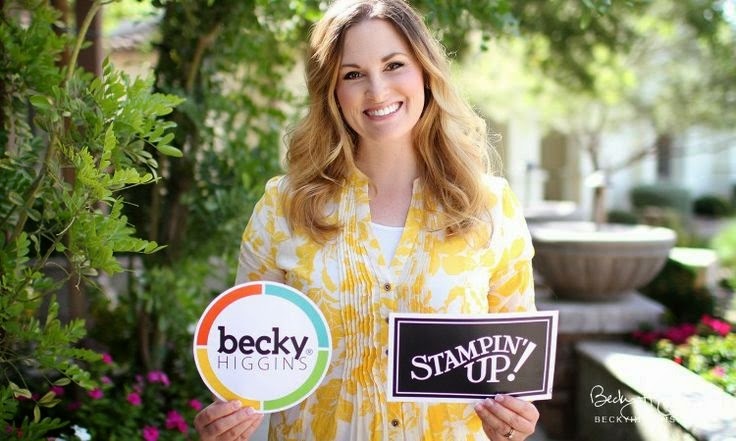 has collaborated with Becky Higgins, a rock star in the memory-keeping universe, to create a line of exclusive products that helps busy people (and who do you know that isn’t?) document life with photos and journaling quickly, simply and with fabulous results. Becky says “It’s called Project LIFE because it’s about YOUR LIFE. Whatever your life is. Whatever your stage of life. Whatever your family circumstances. Whatever your lifestyle. 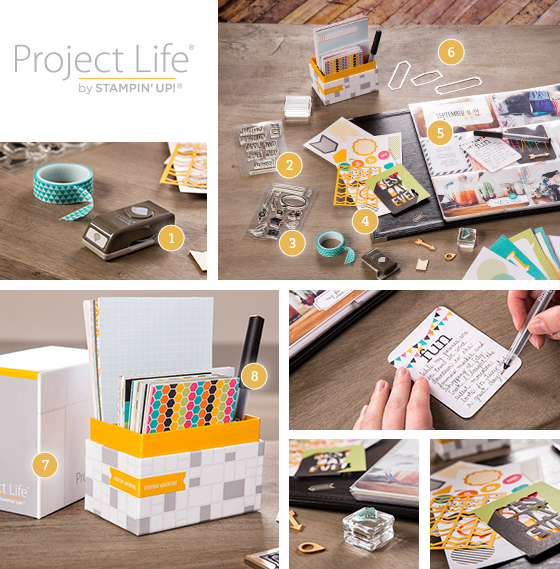 Project Life is designed to help anyone and everyone get their pictures into a book. It means spending more time making memories and less time scrapbooking them. I’ve just received my order – yes, I hit the “I Want It All” button – and I am delighted! Everything coordinates beautifully, of course. The paper quality it excellent and I am really happy with the designs – these are images I will absolutely use. It’s nicely packaged as well; the photopolymer stamps are now in our own dvd-style cases, and the Card Collection comes in a gorgeous, sturdy divided box with plenty of room for the journaling pens and accessory pack. Oh, this is going to be amazing.